This is one of the only two 39 inch TVs for the 2013/14 Panasonic lineup. The other is in the B6 series. The TC-L39EM60 differs from that one with the 240 backlight blinking feature. The media player on the EM60 also accepts a wider range of file formats. 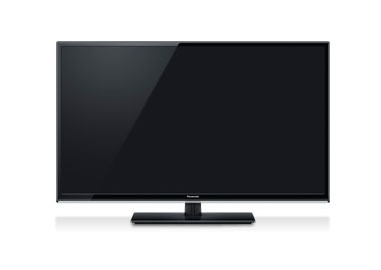 This TV is a great option for a second room or large bedroom. All of the 3D features and Smart TV features are missing on this one, so it may not be the best living room set. The 39EM60 stands to be one of the best budget models for the year. The TC-L39EM60 uses the same 240 backlight blinking feature as the E60 series. This feature helps to reduce motion blur and judder associated with fast action scenes. When activated it is doubling the native 120Hz refresh rate of the panel. The feature works well on the EM60. We saw slight improvements in the edges during scenes with a lot of camera movement. This may produce unwanted effects with certain programming, so it should simply be turned off. The USB media player is a pretty great addition considering the lack of an internet connection. The TC-L39EM60 can play a host of useful file formats. Plug an external hard drive or usb stick in the the port and your content will play back on the big screen with ease. Here is the list of accepted formats: AVI / MKV / MP4 / M4v / FLV / VRO / VOB / TS / PS, MP3, JPEG. It's a good selection that covers the major video, music, and photo file formats. A very useful feature in my book. The TCL39EM60 only offers two HDMI ports with one USB port. Considering this TV doesn't offer smart features, the amount of inputs seems limited. Two HDMI connections will go fast when a blu-ray player and roku box are connected. Where is a game console to go? Or my laptop? It's only a minor inconvenience to have to switch cables when switching devices, but one most don't like to deal with. The one USB port shouldn't be a problem if you only use it when viewing content. The 39EM60 adopts the same appearance and design of the E60 series. It is a slim model with thin bezels. The clear strip of plastic located below the screen is abandoned for a more traditional look. A nice looking TV overall.